Welcoming a new little one is one of life’s greatest joys, and whether your sweet baby boy or girl has already arrived or you’ve just learned you’re pregnant, outfitting your nursery with all the essentials is top priority. When you’re working with limited space, however, planning out your nursery can be a bit more challenging. 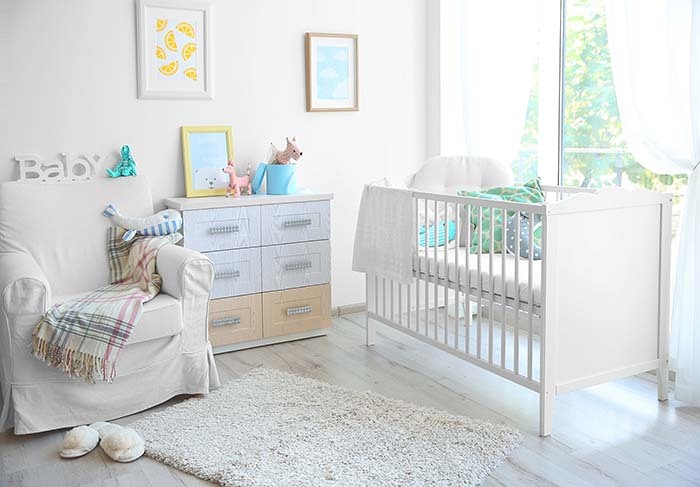 We’re here to help you with décor tips and tricks to make the most of your nursery space, so you and your little one can bask in comfort and enjoy all those perfect moments. Let’s get started! Don’t pick furniture that your baby will grow out of in weeks. Opt for cribs that can be converted as your baby grows. For example, check out convertible items like this bassinet crib combo from Guava Family. It starts as the perfect sleep environment for your new baby, then grows with them. 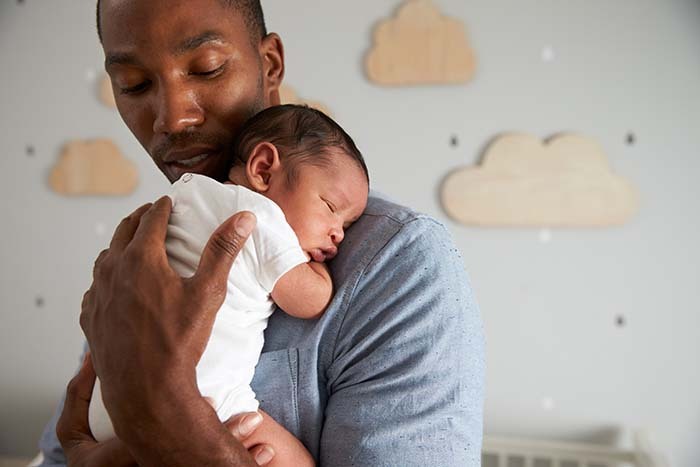 After they outgrow the bassinet, you can quickly convert it into a portable crib (use in the nursery or on family vacations – who says you have to stay at home once baby arrives?). Don’t underestimate the power of light when it comes to making a space look larger. 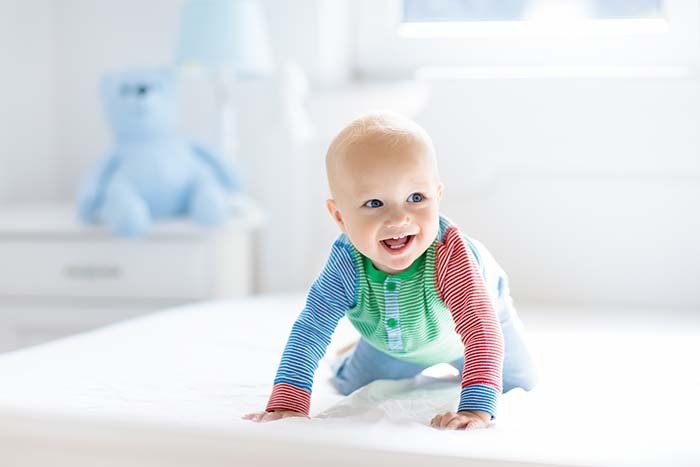 Using light strategically is a staple of great home decor; let light in during the day to help baby’s sleep cycle acclimate, while making the room seem more expansive – it’s a double win! Don’t rely on a single lights source; use multiple lighting options throughout the room, such as floor lamps, overhead lighting and twinkle lights. When dealing with a tiny nursery, getting rid of your closet doors can help expand the space. The caveat here is that you must be diligent about keeping Baby’s clothes organized. That means drawers, adjustable shelves and rods, and other types of storage containers. This tip does more than expand the space; it makes it quick and easy to grab clothing, toys, diapers, shoes, and more when you need it! When you’re working with limited space, it’s important to choose furniture, décor, and design elements that don’t overwhelm the room. Look for accent pieces that are petite and don’t crowd the limited floor space you have to work with. Smaller wall shelves, tiny bookshelves, and little frames are the way to go when space is at a minimum. While it’s easy to go straight to dressers for storage, consider looking up: as in, go vertical and use empty wall space above and around your little one’s crib. Taller cabinets can be a great place to keep diapers, toys, and other baby essentials, and will free up that important floor space for tummy time. Don’t rule out accent colors either! With a bit of design strategy, you can use paint to trick the eye into thinking a space is taller or wider than it actually is. Check out some paint swatches at your local Sherwin Williams and try samples of a few colors to see what looks best in your nursery. When you’re welcoming a new baby, family and friends tend to go a bit overboard with their gifts – lovely sentiment, but a source of stress when you have limited space to store your baby’s items. Keeping it simple is the best way to conserve space in a small nursery. Get rid of unnecessary furniture and décor, and stick to the must-haves only. Donate any extras you have to local women’s shelters or Goodwill, or sell on OfferUp or Craigslist to make some extra money for diapers! Maximize space in your baby’s nursery by incorporating the above design tips and strategies into your planning process. No matter how small the space, you can make the most of it with a little bit of strategy and a dash of patience.